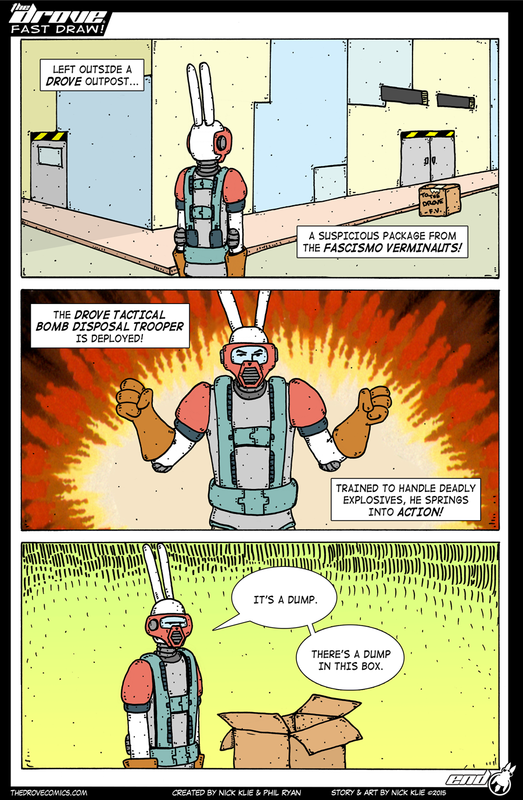 This comic was posted in The Drove and tagged bunnies, bunny, comic, drove, dump, Fascismo Verminauts, Fast Draw, G.I. Joe, G.I. Joe Fast Draw, GI Joe, Jean Giraud, Moebius, rabbits, sci-fi, stab, Tactical Bomb Disposal Trooper, the drove, thedrove, Verminauts, webcomic.